Our body has a biological cycle that is influenced by the cycle of day and night. When light enters to retain it stimulate the nerve impulse, which moves along the pathway to the location in the brain where circadian rhythm governs. Sometimes you find that you do not feel sleepy and until very late you do not go to sleep. When you sleep late you also get up late in the morning and experience tiredness and fatigue whole day. The kind of behavior delayed sleep phase syndrome is called and it is common in adolescents and teenagers. 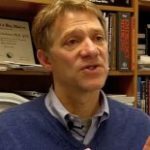 Delayed sleep phase syndrome happens to those whose circadian rhythm is slow (i.e. longer than 24 hours). We all know the role of melatonin as a seep stimulator. When its creation increases in the body we feel sleepy. When circadian rhythm is slower than normal it misbalances the usual body pattern of sleep at night and awake during the day. With longer circadian rhythm, the release of the melatonin does not happen late in the evening and we find it difficult to sleep until late in the night and usually experience trouble in getting up early in the morning. Can The Cycle Be Changed? The answer is, yes! It is 100% possible to reset your circadian rhythm to an earlier schedule if you are suffering from delayed sleep phase syndrome. Morning bright light therapy works best for the people who do not feel sleepy till late in the night and experience tiredness and fatigue entire day. 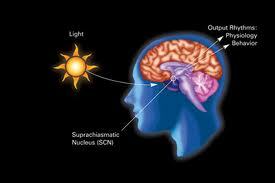 The therapy works on the cycle of light and darkness with melatonin and body temperature. The morning bright light therapy is very simple; you only need to take the exposure of sunlight during early morning. When you take exposure of morning light between 6am and 9am, body’s melatonin level quickly drops and the body temperature start increasing. The creation of melatonin is very low during daylight and when you spend around one or two hours in the early morning light it helps in advancing your circadian rhythm. With few days practice you find that your sleep cycle is back to normal and you no more stay awake until late in the evening. 1. To start with first, take help of an alarm clock and start maintaining a regular wake-up time even on weekends. 2. Expose your vision to bright sunlight shortly after sunrise. 20 minutes may be sufficient on a clear sunny day but generally you can aim it to 30 to 60 minutes (time will vary depending upon your personal need, convenience and weather condition). You don’t have to look directly at the sun it may harm your eyes. 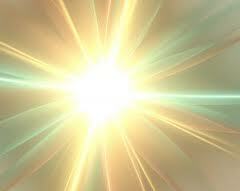 Looking into a sunlight environment or the blue sky is more than enough considering morning bright light therapy. 3. If possible, avoid sunlight in the evening so body does not believe it is still a daytime. 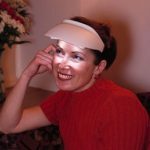 A person suffering from delayed sleep phase syndrome can surely rely on morning bright light therapy, first, because it is not a medicine so no side effects, guaranteed. Second, a maintained circadian rhythm will not only help you getting sleep on time but will also work on your whole metabolism that leads to a healthy life. You will experience improvement in getting to sleep within three to five days with morning bright light therapy. But to establish an earlier sleep-wake cycle, you will need to continue this routine it for a month or longer.